MotoGP '06 is the first bike racing game to hit the Xbox 360. With stunning photorealistic graphics and a blisteringly fast game engine, MotoGP '06 redefines the boundaries of visual excellence and sheer racing realism. With the inclusion of the new 2006 bikes, riders and tracks, for the first time ever MotoGP fans will be able to recreate the brand new season as it unfolds. Finish 250 races, online or offline. Finish 100 races, online or offline. Finish 50 races, online or offline. 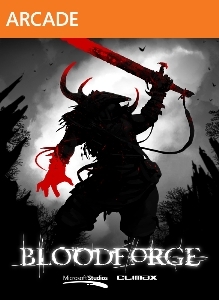 Bloodforge is a dark and brutal action combat game set in an ancient Celtic world. With a brutal combat system, stunning art style, and a deeply compelling story, Bloodforge empowers you to slaughter hordes of demonic soldiers, deformed worshippers, and the gods themselves, using ferocious Rage Kills, devastating Rune attacks, and furious Weap..